To create a stylish impact among all, this Blade Leather Jacket is the symbol of your fashion success. This attire is produced in the very similar style as you see in the picture. This has been extracted from the Blade movie by Wesley Snipes. This Wesley Snipes Jacket is made up of Synthetic Leather. Works perfectly in whichever way you want to wear whether for winter or casually. 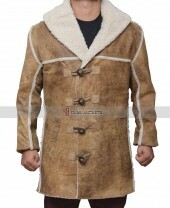 Get ready to have a mysterious and stylish look with the help of this coat. This snipes clothing cost me a bit but since the quality and fitting is nice, I would say fine. The quality of the leather is Excellent I am fully satisfied with the product and the fitting was also good. Every time I wear this, all I get is compliments. The sense of my dressing astonished everyone. The silk finish to it tops it off the hook. Only prob was the delivery otherwise i would 5 stars this. I just received this coat and it is so ridiculously awesome!! The pictures do not do the jacket justice!! So much nicer in real life. Perfect fit (XXL) and just killer.